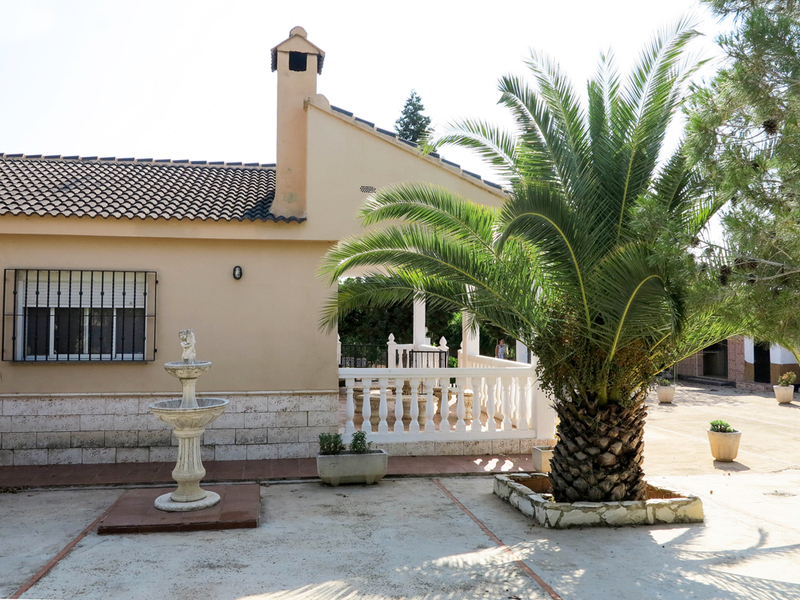 One of our well presented villas for sale Valencia located only 3km outside from the town centre of Montserrat. 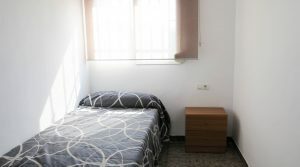 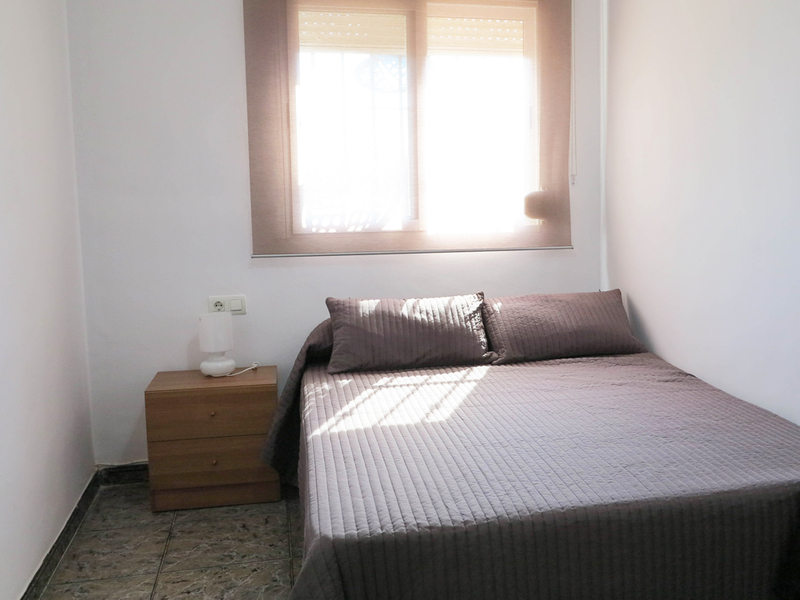 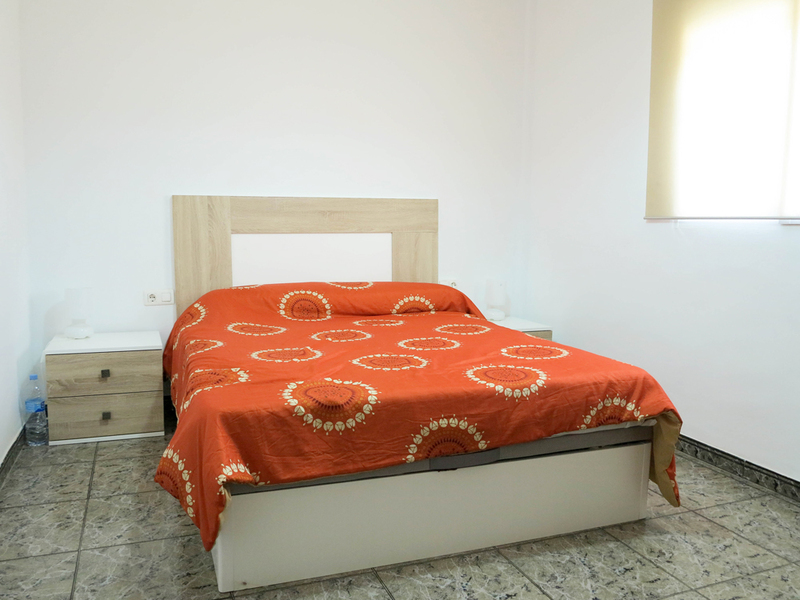 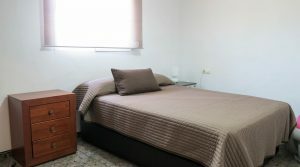 Montserrat is a medium-sized town where you will find many bars and restaurants, three supermarkets, 24 hour medical centre, English speaking vets and a good choice of shops and amenities. 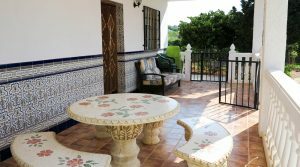 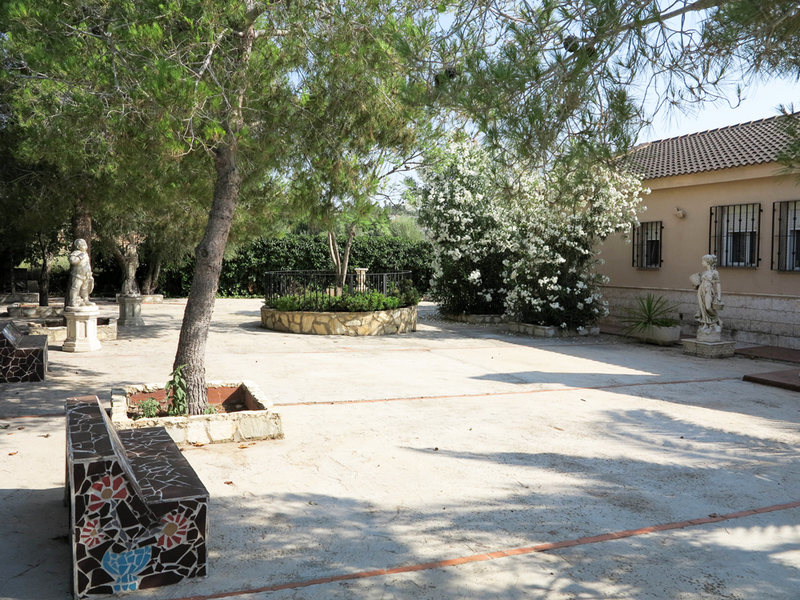 This villa sits centrally on its impressively landscaped flat gardens with lovely terraces surrounding the villa. 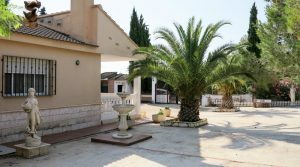 At the front of the property, you have a large covered terrace before entering into the lounge/dining room which has a chimney fireplace and this is a spacious room. 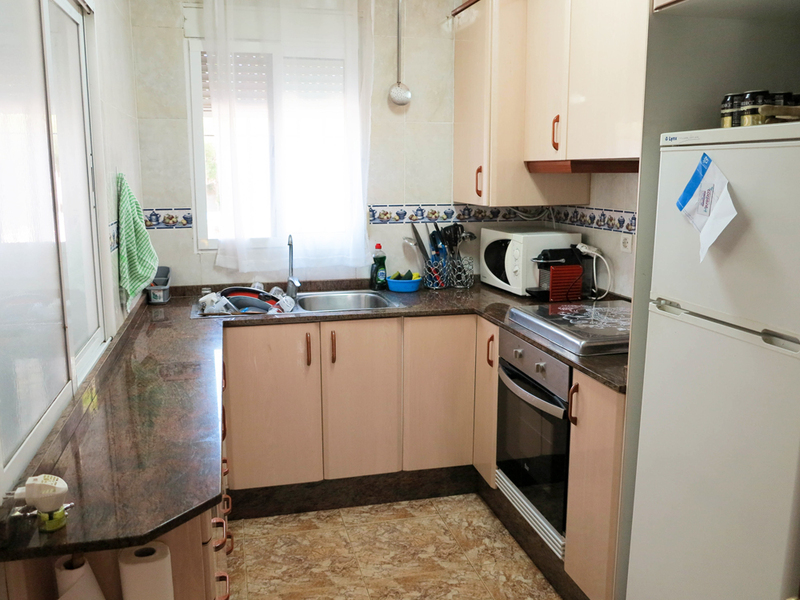 The kitchen is a good standard and comes complete with a pantry ideal for dry food storage. 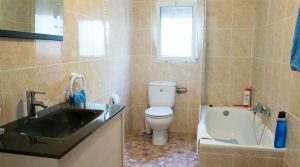 Then you have a hallway taking you four bedrooms. 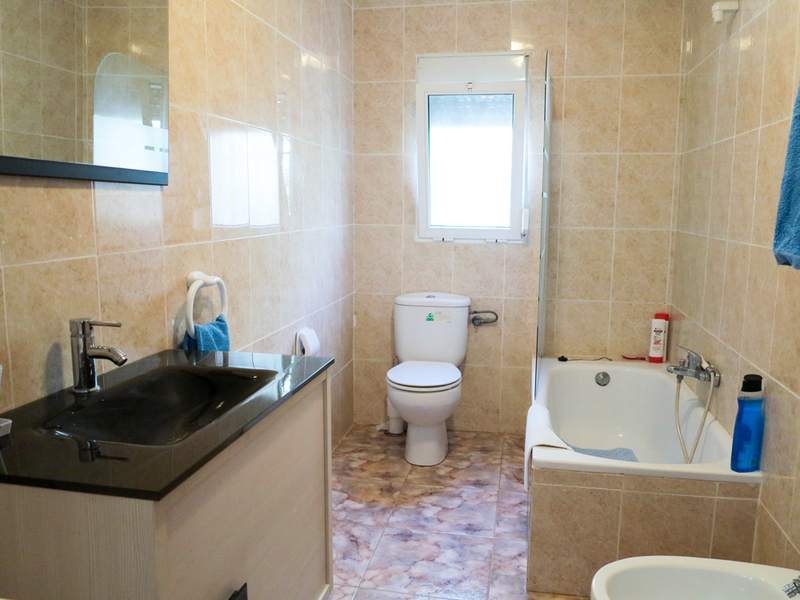 Two of these bedrooms have fitted wardrobes and then you have a family bathroom. 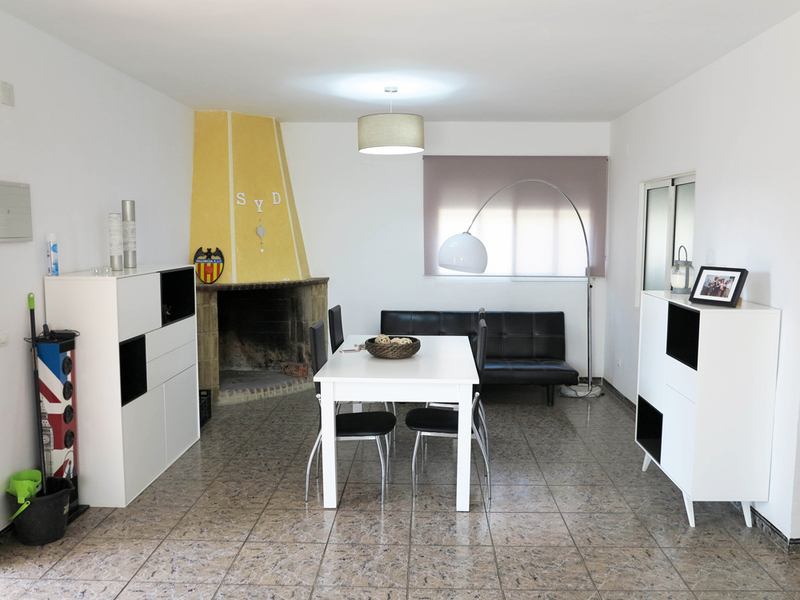 The entire villa has a modern presentation with its decor and interior design. 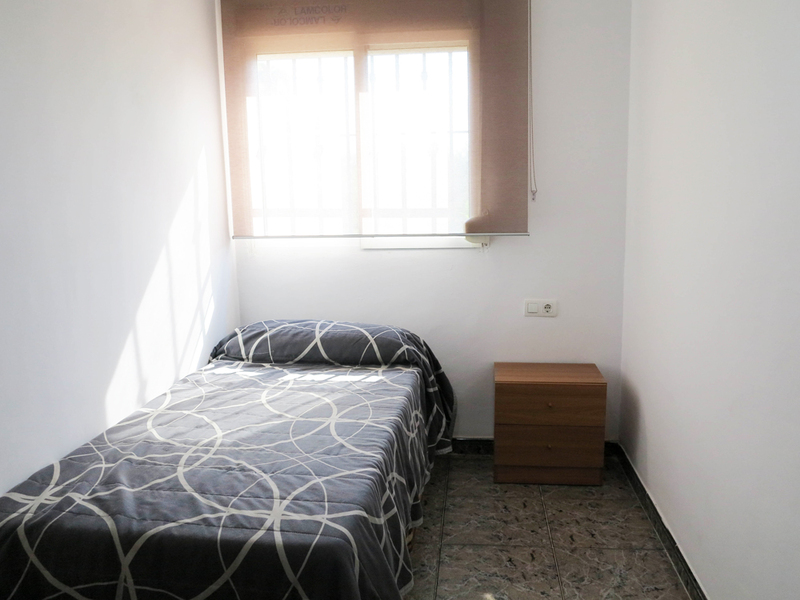 You have double glazed windows complete with incorporated blonds (persianas) and fly nets. 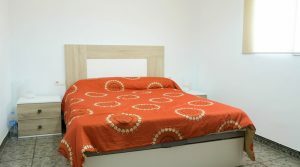 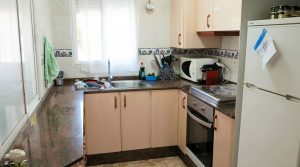 The electrics and the plumbing are modern standards for the entire property. 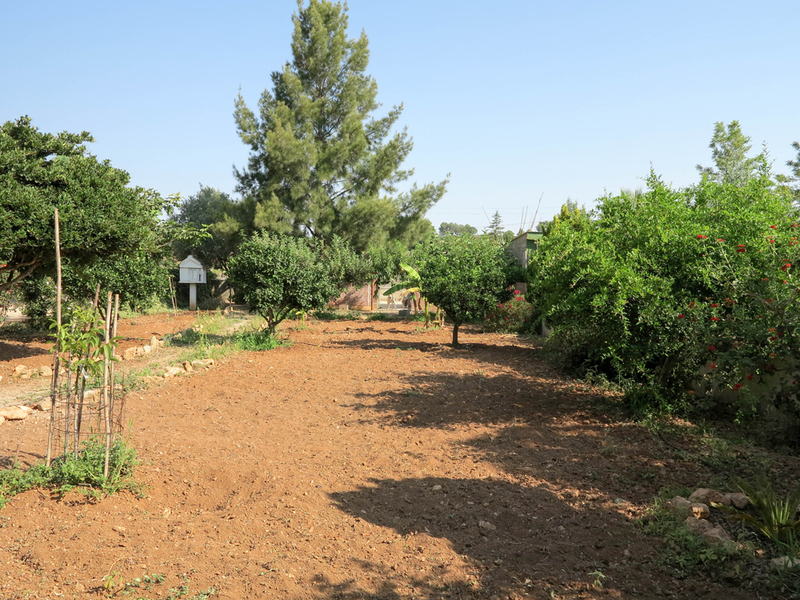 You have mains drinking water connected and also a separate supply of cheaper agricultural ideal for the gardens. 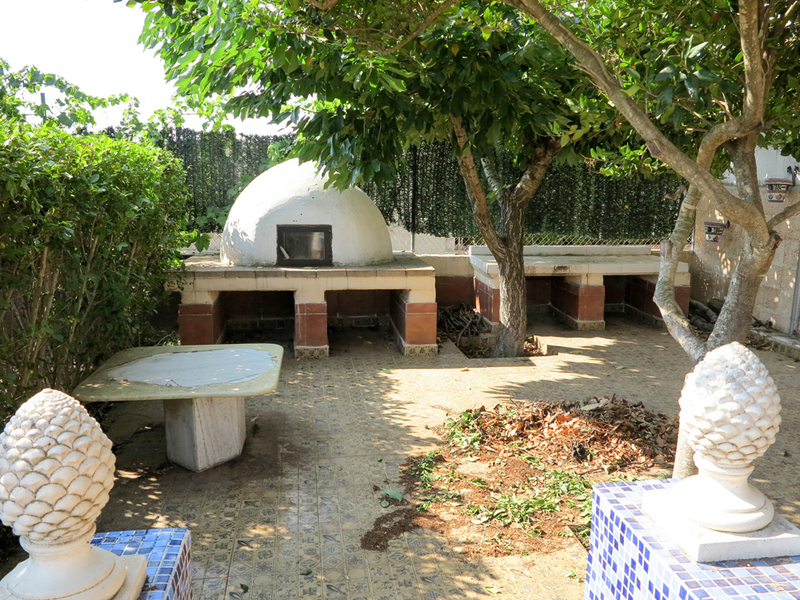 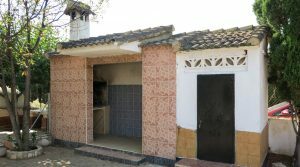 Outside across from the front terrace of the villa, you have an outside kitchen, with a storeroom next door to it. 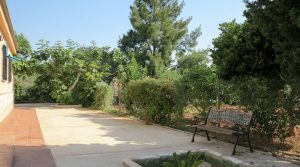 The gardens where the villa is located are fenced and as shown they have lovely terraces surrounding them, with seating areas and a fountain. 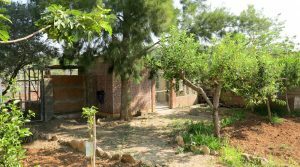 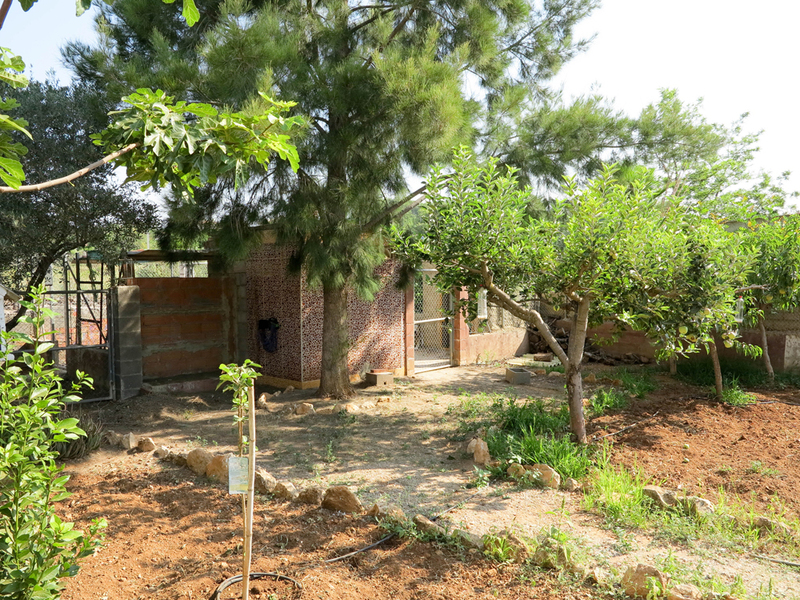 There is then a door in the side fence that takes you through to the large area of land making up this large 7.100m² plot. 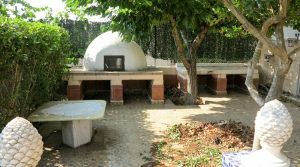 In this area of the grounds, you have a large barbecue area which has an traditional masonry oven, ideal for cooking pizzas and meats in. 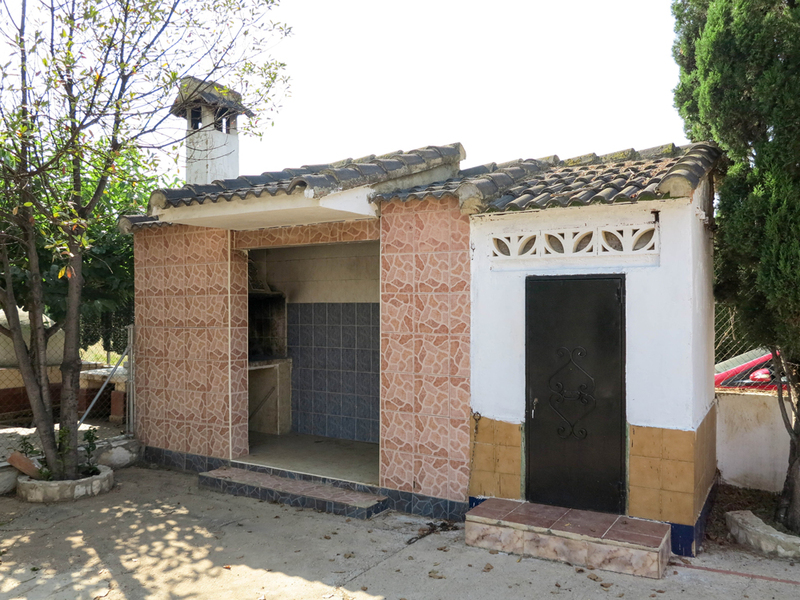 Then there are two small casitas used by the owners for their dogs. 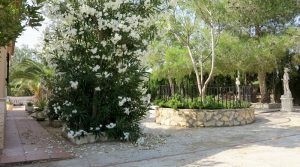 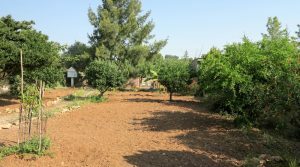 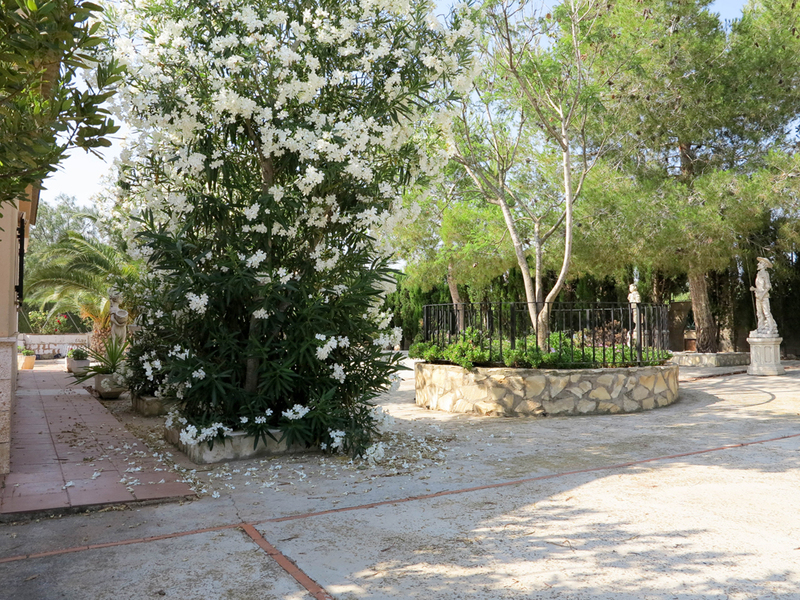 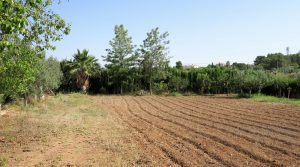 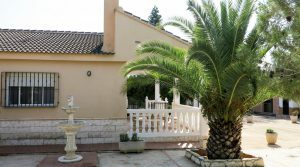 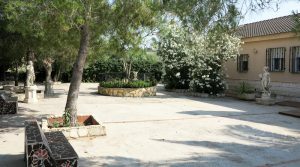 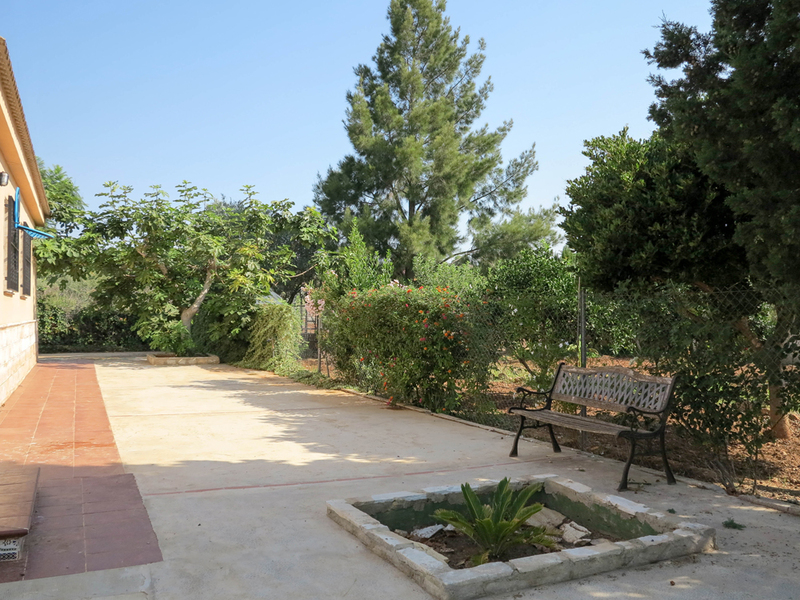 Within the grounds, you have a good mixture of fruit trees including pear, peach, plum, apple, lemon and orange trees complemented by palm trees making up this Mediterranean gardens. 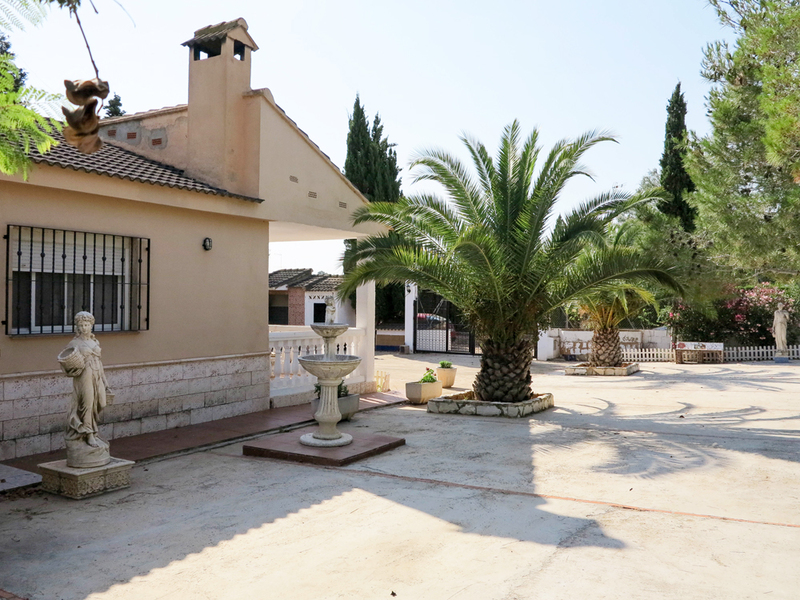 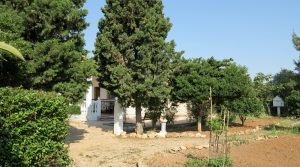 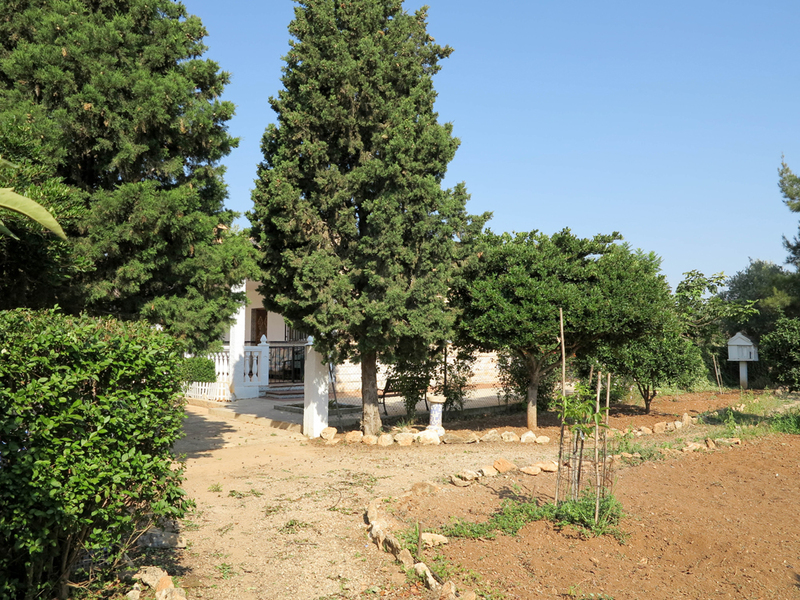 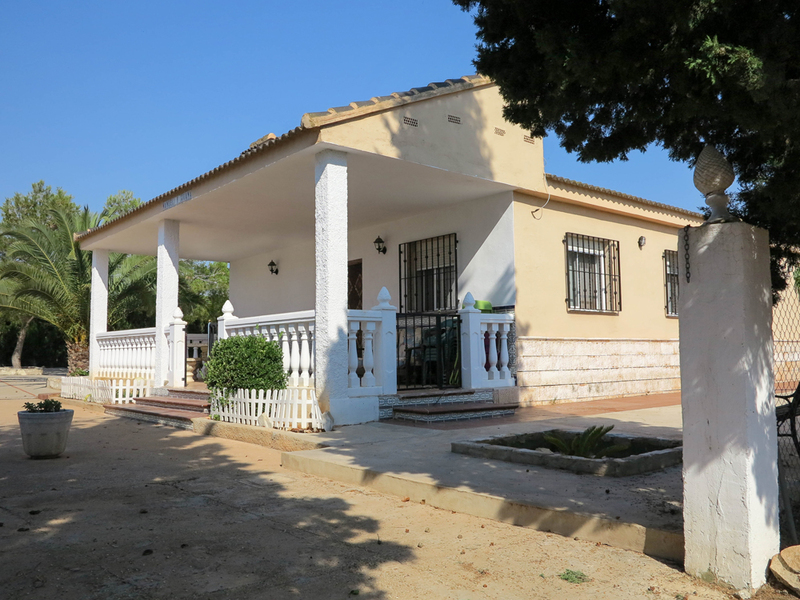 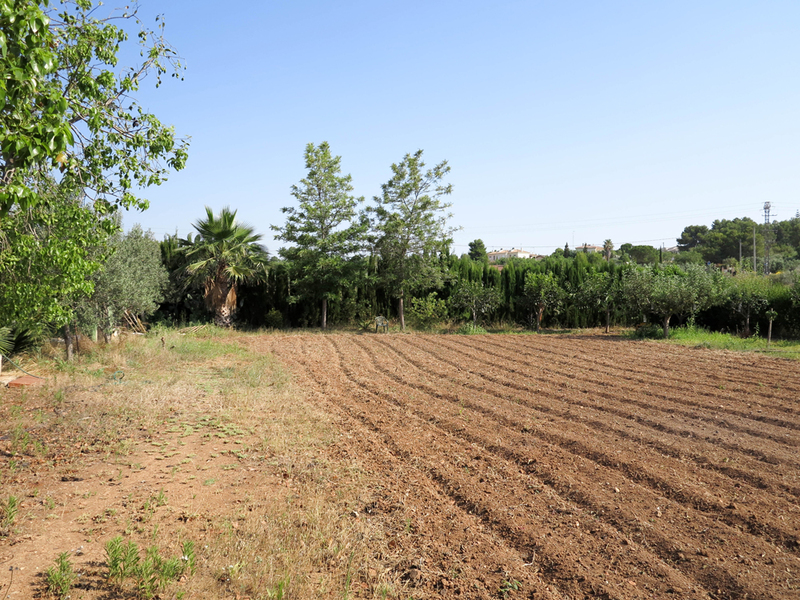 A charming property with good views and suitably close to the town. 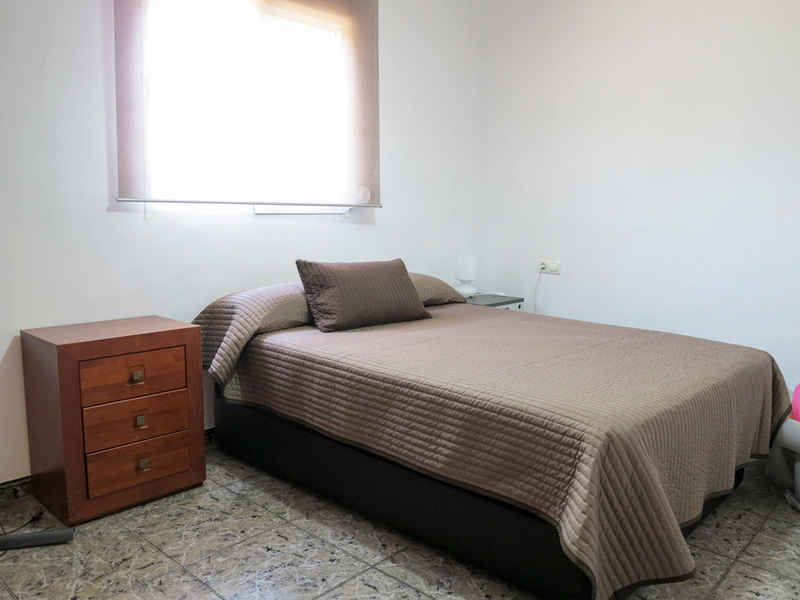 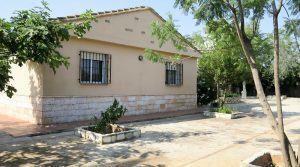 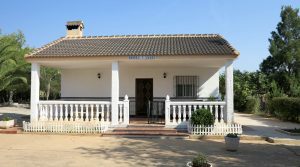 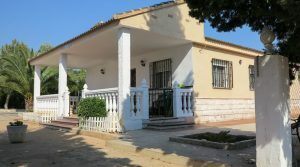 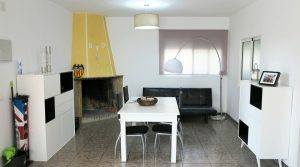 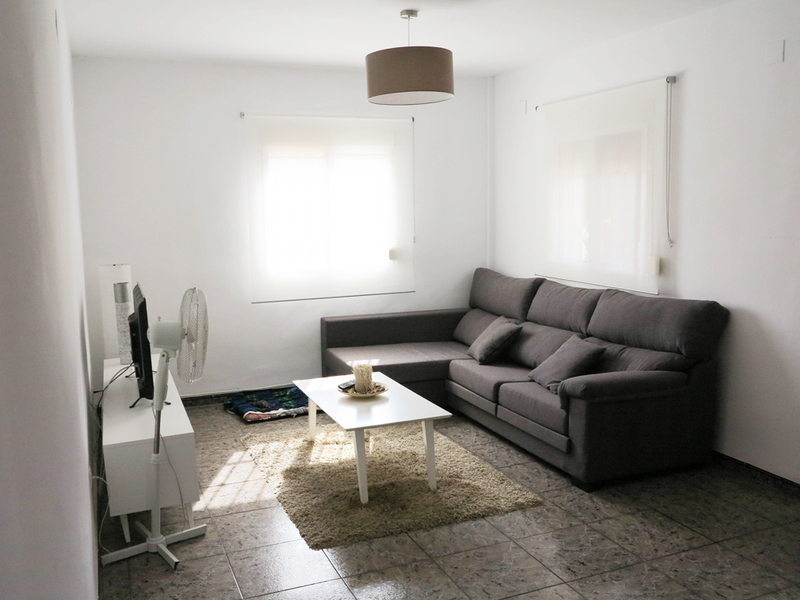 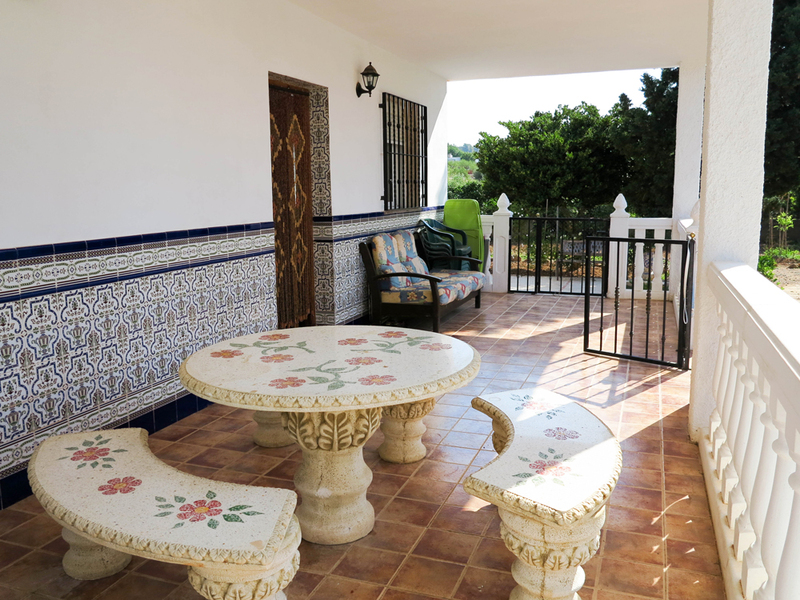 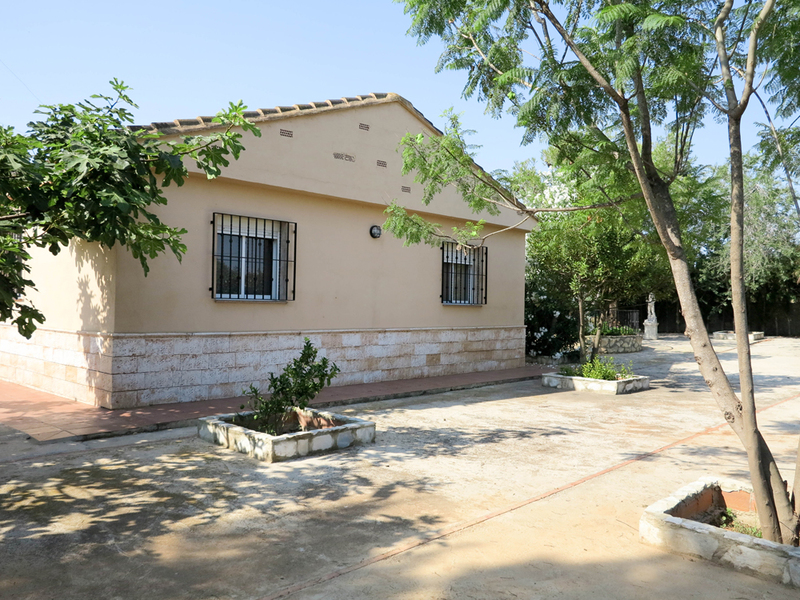 Recently reduced by 25.000 Euros by the owners and now presented at this very good price, certainly for such a well presented property in Monserrat. 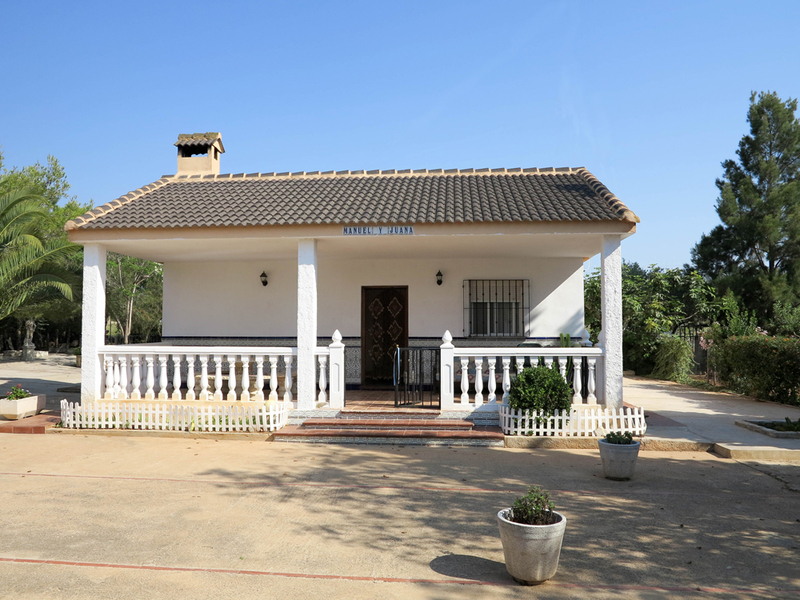 Do not miss the opportunity to buy such a good property.